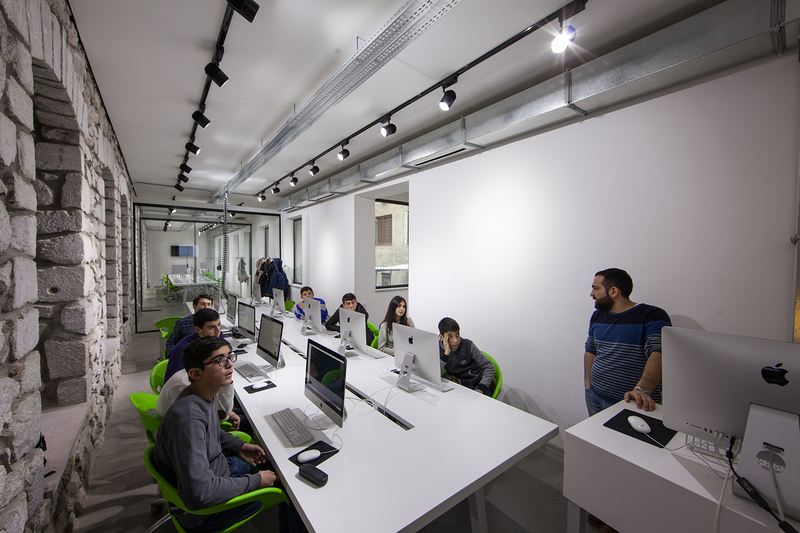 Tumo is an after-school educational environment in Armenia intended to instill creativity and innovation in new generations. Thousands of students between the ages of 12 and 18 take charge of their own learning at their own pace. 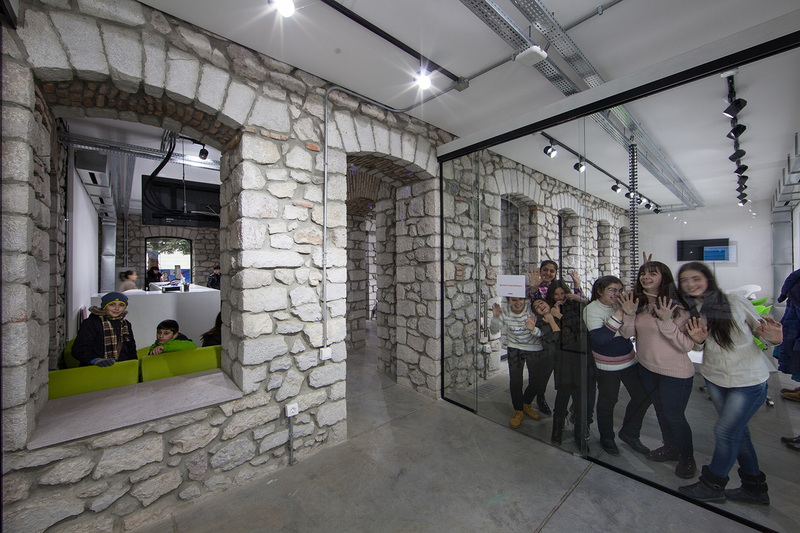 Tumo Center allows children to explore four main disciplines: animation, game development, filmmaking and web design. 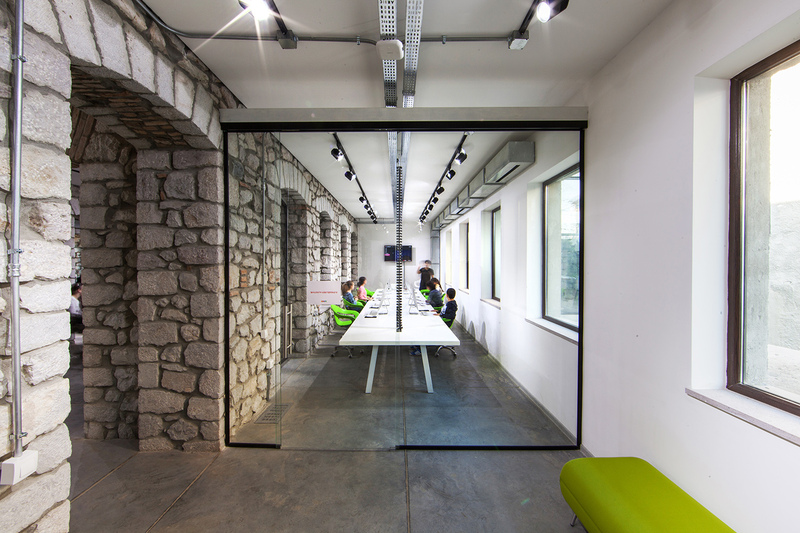 Tumo has branches in Yerevan, Gyumri, Dilijan and Stepanakert. 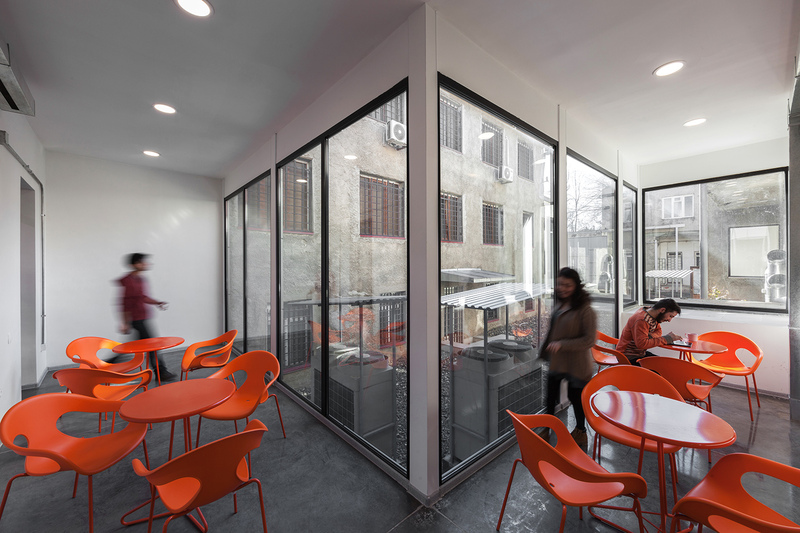 Technologically, all Tumo centers are equal in capacity and resources. 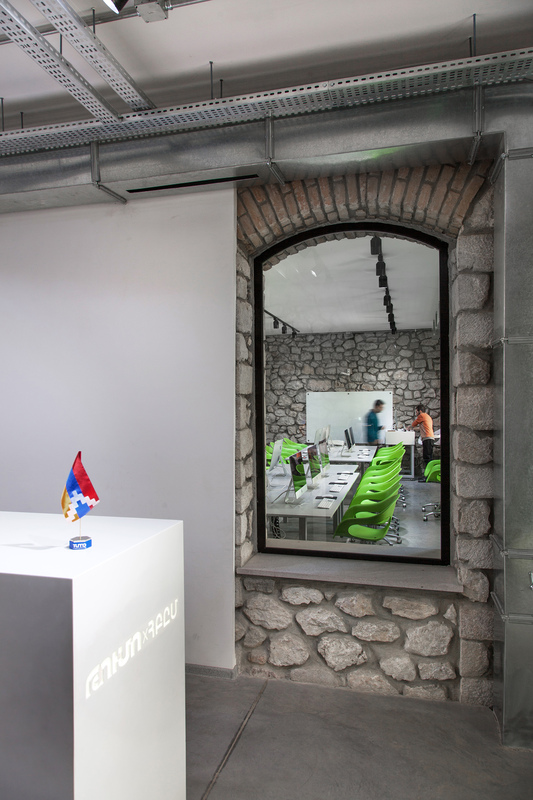 However, what differentiates Tumo Artsakh from the other locations is its interior design concept. We faced a very specific challenge in terms of redesigning the interior of a dominant and iconic historical building with a strong architectural theme. 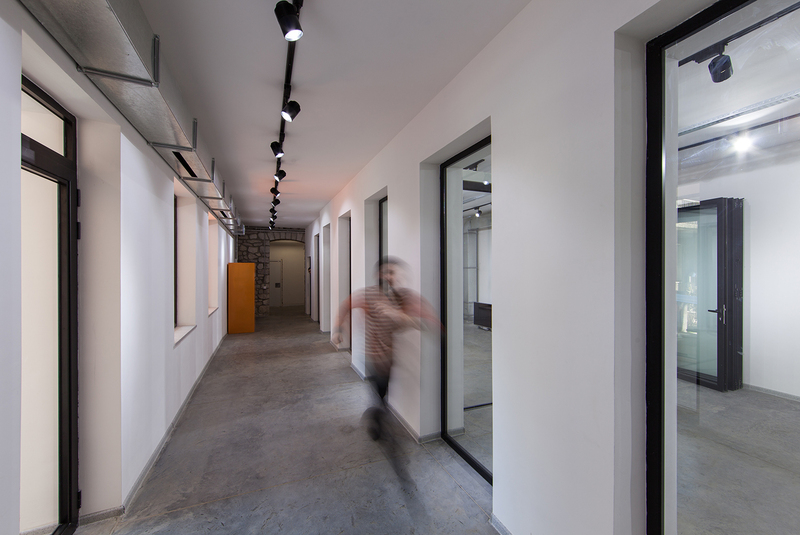 Therefore, we were compelled to include elements that would create a hybrid concept blending the old with the new. 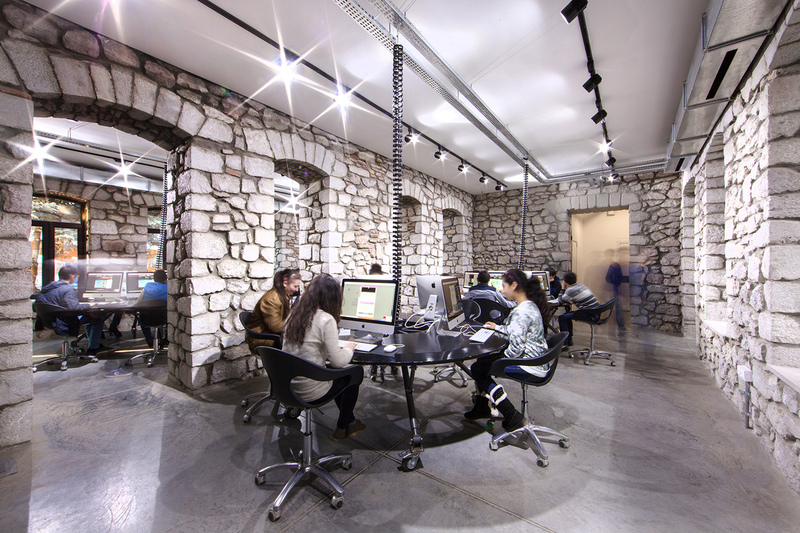 As a result, the soul and spirit of Artsakh architecture permeates through Tumo Artsakh. The historical stone walls were restored. We created a more vibrant interior with the use of white for the ceilings and walls with exposed electrical trays, cords and lighting. 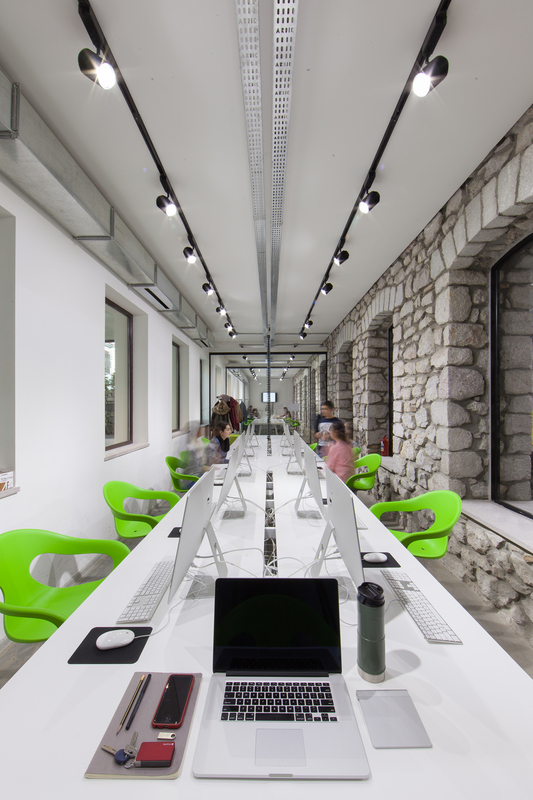 This approach, combining the historical walls with modern elements creates a one of a kind learning atmosphere for a unique learning center.